Let us guess, you know you want a 2019 Mazda CX-3 but can’t decide between the Touring and Grand Touring trim levels, right? You’ve probably been asking yourself, “What are some of the benefits of choosing the 2019 Mazda CX-3 Grand Touring?” and “Which features are on both trim levels?” We have just the thing for you! 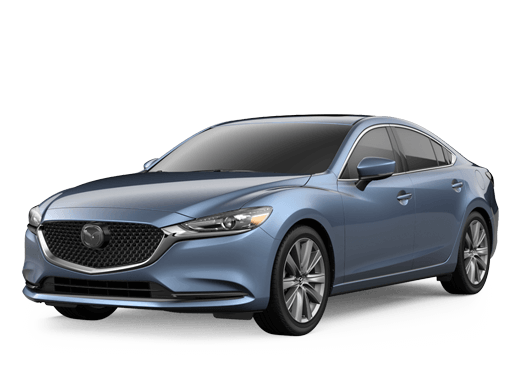 Our team at Serra Mazda has come up with an in-depth breakdown of which features you’ll find in the Grand Touring trim and not the Touring. With that in mind, keep on reading and check out our 2019 Mazda CX-3 Touring vs Grand Touring features comparison for everything you need to know. Benefits of Choosing the 2019 Mazda CX-3 Grand Touring? Standard for every model of both the 2019 Mazda CX-3 Touring and Grand Touring trim levels, one will find the following features: a seven-inch touchscreen, a rearview camera, Bluetooth, a leather-wrapped steering wheel, heated front seats, heated side mirrors, an overhead console with a sunglasses holder, 18-inch wheels, automatic headlights, automatic wipers, keyless entry and ignition, automatic climate control, and so much more. Unavailable to the Touring trim but standard to all Grand Touring models, top-of-the-line Mazda CX-3 customers are sure to appreciate a seven-speaker Bose premium audio system, satellite radio, HD radio, adaptive headlights, a sunroof, LED exterior lighting, full leather upholstery, a navigation system, and automatic high beams, and more. To learn more about certain features and their availability for the 2019 Mazda CX-3, serious inquiries can be directed to our sales team by calling 205-419-5556. You can also contact us online by clicking right here. We hope our 2019 Mazda CX-3 Touring vs Grand Touring features comparison helped to shed some light on which trim grades contain which features. Want to see the 2019 Mazda CX-3 in person? Schedule a test drive with our team at Serra Mazda! We hope to hear from you sometime soon. 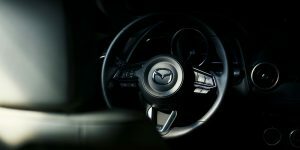 This entry was posted on Sunday, January 27th, 2019 at 6:13 pm	and is filed under Mazda CX-3. You can follow any responses to this entry through the RSS 2.0 feed. You can skip to the end and leave a response. Pinging is currently not allowed.